The solution is not so simple to find and open all apps folder or delete APP folders in Windows 10, but also not impossible! Info: You need System access and admin privileges! Solution is also to cleaning up DriverStore/FileRepository Folder and for the extrem large WindowsUpdate.log file! For this, you need a file manager that can be started in administrative and system privileges! For this case in Windows 10 is the File Manager Q-Dir ideal! From Windows-10 Redstone 3/4/5 with folder protection, this must be disabled, or the W10 defender complete! Or ► disable Defender for this action on Windows 10! ► uninstall or delete Windows 8.1 / 10 Applications! 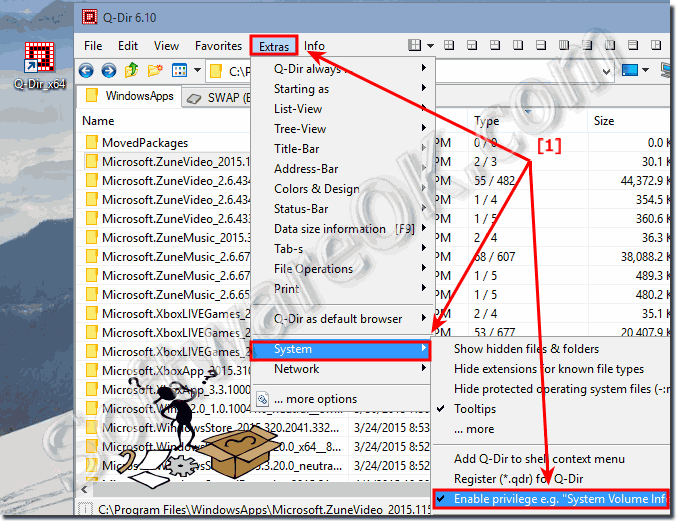 ► how to find installed program files in windows 10 (uninstall)! ATTENTION! Turn off the system rights (privileges), after processing the folder! It is not recommended to work with system privileges, because you can also delete items that should not be deleted. Or when creating new folders, other users do not have full access rights. (Image-1) Windows 10 all apps folder! The contents of the folder can be manually deleted, but some of the files and folders cannot be deleted because they are currently being used by the Windows 10 operating system, you can skip them by clicking the appropriate button! See also: ... Explorer as administrator in Win 8.1 and 8! 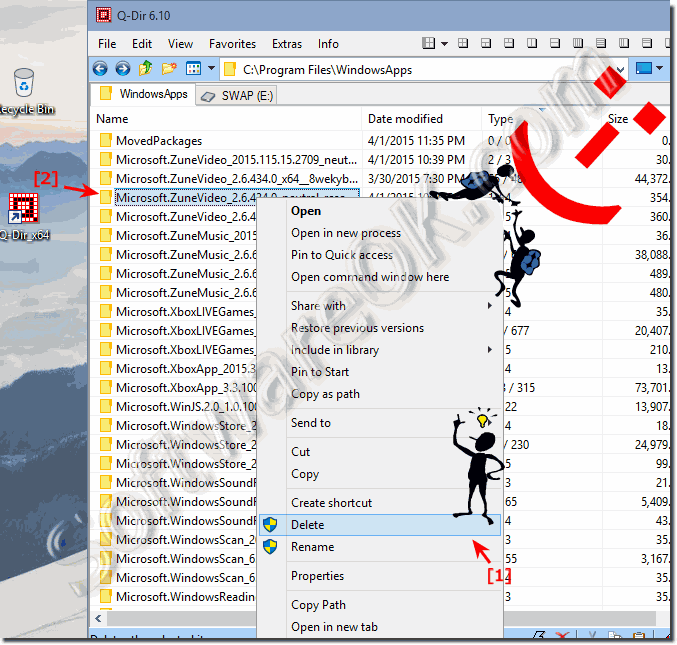 (Image-2) Windows 10 apps folder delete files! Windows-10 - FAQ-35: Windows 10 all apps folder (open, find, delete, cleen)?